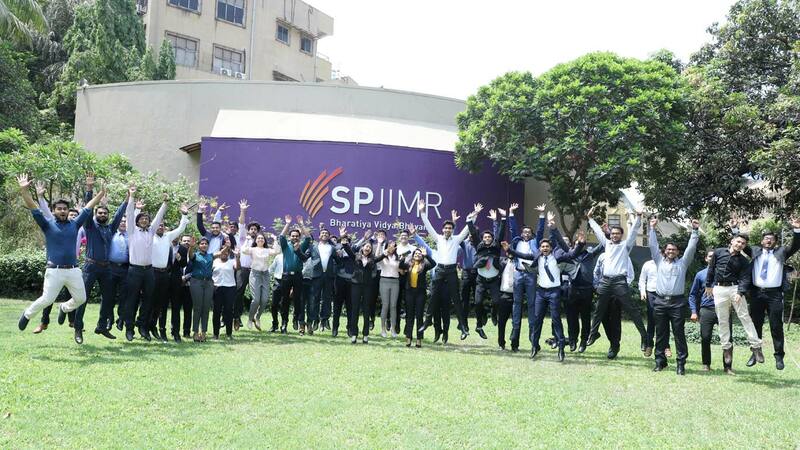 SPJIMR's Global Management Programme – the GMP (formerly called the PGCIM), is a pioneering initiative that connects our Institution with some of the best global business schools and universities. The programme began in the year 2010 and has grown to be a valuable offering which opens up opportunities for participants to study at SPJIMR and then continue the programme at our international partner schools. GMP began with a partnership between ESB Business School of Reutlingen University, Germany and SPJIMR, after receiving initial recognition and funding from the European Commission. It was initially designed to align with the MBA in International Management offered by ESB Business School. Through GMP today, SPJIMR builds on its approach to globalisation, which is essentially to create a multinational faculty and alumni base as well as develop partnerships with noted foreign educational institutes. A global curriculum, a rich faculty base and a diverse learning experience through courses, simulations, projects, internships and placements in international destinations make GMP stand out as one of the best known global faces in India. Today we have our alumni working at international destinations in organisations like - World Bank, ING Bank, ABN AMRO Bank, Apple, Airbus Helicopters, Amazon EU, Credit Suisse, E.ON, PWC, E&Y, Deloitte, Crane Co., Capillary Technologies, Rocket Internet, IBM, TCS, Daimler, Decathlon, General Electric, to name a few. Some of the positions held are Chief Product Officer, Loyalty & Retention Manager, Pricing Manager, Finance Controller and Group Account Manager. Brandeis International Business School (IBS) was founded in 1994 as a part of Brandeis University. By teaching rigorous business, finance and economics and connecting students to best practices and immersing them in international experiences, Brandeis IBS prepares exceptional individuals from around the globe to become principled professionals in companies and public institutions worldwide. Brandeis IBS has a worldwide reputation for academic excellence. The MA in International Economics and Finance is ranked 2nd in the U.S. by FT. The MBA programme is on the Princeton Review's list of top business schools in North America and has been for nine years in a row. Students will be required to submit a TOEFL / IELTS score, in addition to the other required application materials. Robert H Smith School of Business, University of Maryland College Park. Stevens Institute of Technology is a premier research university located in Hoboken, New Jersey, overlooking the Manhattan skyline. The university has a satellite location in Washington, D.C., as well. Founded and incorporated in 1870 by America's First Family of Inventors, it is one of the oldest technological universities in the United States. The campus encompasses Castle Point, the highest point in Hoboken. The School of Business at Stevens Institute of Technology was established in the year 1997. The program at the School of Business leverages its institutional strengths in analytics, finance, information systems and management to provide a forward-looking business education that prepares managers for the future through an emphasis on technology. All Master´s programmes at EBS consist of a basic structure and lead to the Master of Science degree. You will be able to follow either a generalist route or select a specialist path to deepen your knowledge in a particular area. In all programmes, you have the opportunity to acquire in-depth knowledge in selected specialisations, gain international experience through studying abroad, and take advantage of EBS's extensive business, social and professional networks. The origin of IÉSEG dates back to 1964. Since then, the institution has been ranked as one of the top 10 French Business Schools. IÉSEG has the prestigious accolade of becoming a Grande École – one of the most respected and academically rigorous higher education programmes in the world. The IÉSEG culture is born out of a passion for progress and ability, meaning that we focus all our energies on identifying the true potential of each student. In the year 2016, IÉSEG has been ranked 17th by the Financial Times for its Master of Management programme. Situated on a 13th century estate, Nyenrode has a unique atmosphere to work and study. In 1946, captains of industry from leading Dutch corporations such as KLM, Shell, Unilever, Philips and Akzo, took the initiative to start an institute where an action-inclined, internationally focused generation of new business leaders would be educated. The goal was to rebuild the economic position of the Netherlands and Dutch enterprises after WW-II.The Nyenrode estate is dominated by a thirteenth-century castle. Situated in park-like grounds and surrounded by a moat, the castle is a true eye-catcher. The estate is known for its beautiful landscape architecture. Since 2001, it has enjoyed protection provided by the Historic Buildings and Ancient Monuments Act. Nyenrode Business Universiteit is accredited by EQUIS/EFMD. The university is consistently committed to delivering high quality programmes, which is reflected in European and global educational rankings. The degree programmes are accreditated by the different relevant Associations: Nederlands Vlaams Accreditatie Orgaan (NVAO), Association of MBAs (AMBA) and Commissie Eindtermen Accountantsopleiding (CEA). Pursuing an MBA and M.Sc. at Nyenrode Business Universiteit means developing your personal and professional skills through intense and rigorous academic programmes. final marks in percentage terms can be provided. The duration of the bachelor’s degree or equivalent should be three years or above. Candidates who have an integrated master’s degree or a dual degree can provide the marks of their Bachelor’s degree, as applicable by the university norms. Some of the organisations and companies in which our alumni are currently placed are World Bank (Washington DC), Credit Suisse (Mumbai), Amazon EU (Luxembourg), Barclays (London), Rocket Internet (Berlin), Apple (California), Airbus Helicopters (Munich), ING (Amsterdam), Royal DSM (Amsterdam), E.On (Düsseldorf), Decathlon (Lille), Capillary Technologies (Singapore), Nissan Benelux (Antwerp) and so on. Positions held by our alumni include Project Consultant, Product Manager, Finance Controller, Central Pricing Manager, Chief Product Officer, Group Account Manager, International Relations Manager, and so on. Most companies tend to first hire for internships, if the candidate proves to be capable, (s)he is absorbed in a permanent position. Our students with zero to three years of work experience secure jobs with an average salary of about EUR 55,000. There are examples where alumni earn a salary of EUR 1,20,000. With three years of experience and an MBA degree the entry level salary is EUR 50,000, on an average. However, expensive locations like Luxembourg, Paris, Berlin, or Frankfurt attract higher salaries.